Since he was in very casual attire I didn’t stress for any pic at his home. How did you feel when you were roped in to play a role in Sivaji? Actually I was making strenuous attempts to get into the Sivaji bandwagon ever since the project was announced. I was trying all the ways and I was ready to play even a single minute role in the film. But I couldn’t make it. My friends used to pull my legs over this often and it used to end up with a brawl. Look how humble is Shankar sir. Since I acted as a hero, in a film earlier (Kannamma) he asked so. Who would say No to act with Rajini sir? As I was ready and crazy even to act in a role that lasts for seconds, I agreed to the offer immediately and met Shankar sir at his the same day. My joy knew no bounds. I was almost flying in sky. But at the same time, I was in a doubt whether this would realize or not and my happiness would be real or fake? So, I decided to keep mum until I start acting in the film. My first day on shooting was with none other than Superstar alone. High court scene was scheduled that day. And I went to the spot and was simply staring out of furor. My eyes searched Superstar and YES I spotted him and turned in a frenzy mood. He was wearing make-up that time. An assistant director approached me and gave me a set of dress and asked me to change the dress and be ready for the shot immediately. “Change the dress? Where?” I asked him as I was looking for a caravan or at least a hide. “Just change there,” the assistant said pointing me a van’s otherside. I was spell bound for a few minutes and it took some time for me to come back to memories. India’s highest paid actor, discarding his star status, just changing his dress open space without any starry airs. Shouldn’t I learn from him? I became shy and moved to corner of the van and changed my dress. Director called me for my shot with Superstar. The shot was okayed instantly and Superstar gave me a pat for that scene. “Vitta Bose ennai adichiruvaaru polarukkae?” he burst out of laughter. After that scene, I moved from that place and I had no chance to speak to him as he moved to the other shot. Somebody summoned me that thalaivar wants to meet me and I rushed towards him where he was sitting in a corner of the spot. He welcomed me and said that my acting is quite natural and he blessed me that I will become a big actor one day. Wow…My day was made. For my surprise, he told about me many things which I thought that others don’t know. He is AWARE of EVERYTHING. He listed all things about me and said that he used to watch my serial Metti Oli too. He is up to date of everything that happens. Also he takes attempts to know about the world and happenings in each one’s perspective. In my point of view, in a small boy who’s there at the spot – in his point of view, in a side artiste’s point of view, in a old man who’s there – in his point of view. He studies everyone’s point of view and stores it with him. A COMPLETE MAN who is up to date of all things. His General Knowledge is astonishing. During the progress of Sivaji shooting, Ash-Hrithik starrer Dhoom 2 released. We all wound up the shooting late night and then went home. But Rajini sir, told me that he watched the movie and he narrated us the story completely to my surprise. I wondered where did this man got time to watch the movie? Similarly, while I was in Sivaji shooting, Thalainagaram movie where I have acted in a meaty role released. I too didn’t see the movie. But Superstar saw the movie in theatre and the next day lauded my performance on screen and also announced to entire Sivaji unit that, “Bose has become a big star from today onwards. So, please keep a distance from him and treat him with great respect” – the unit people begun to treat me differently and later I understood that it was Rajini sir’s comedy act. Though he played a joke – he stood with his words to unit and behaved that as if I am a big star. Another thing which I couldn’t forget in my life is Rajini sir’s passion towards my family and his great help. This happened last year after a few months of Sivaji release and I don’t have any contacts with Rajini sir after that. Last year my father fell ill and I brought him to Chennai and gave all possible hospital treatment. Though he regained normalcy I know that he is in last phase of life and anything can happen to him anytime and doctors also alerted me about that. I decided to keep my father happy and contend in rest of his life. And I was making sure that he has doesn’t even a small grievance. We cancelled the travel to native and started returning to my house. I ringed my wife and told her about our meeting with the boss and asked her to be ready. I could see tear drops in his eyes. I consoled. After this I called all my friends and shared the experience of meeting the Sun with them. They turned jealous. 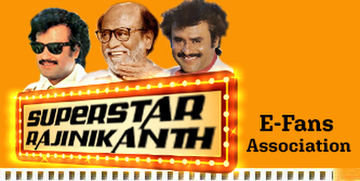 Have you changed in any issue or behavior after seeing Rajini sir? Yes. I used to tell for long to my friends and relatives very often that “Naan indha nilamaiyila innikki irukurraenna…adhukku kaaranam…" I used to self-proclaim about my present status. Because, I came up from a scratch. I started my life as an auto-driver. So, for me it is a big success story. But Rajini sir, never uttered a single word about his status. He never said – "indha nilamaiyila naan innikki irukurraenna...." So I stopped saying like that after meeting Rajini sir. Am very happy to be a part in such a historical hit. I know how big hit the film became around the globe. Some tried to undermine the profits they made with the movie. I know that. Why even industry people know that. Rajini sir knows very well. I am proud to share screen space with such a humble soul. I thank Shankar sir for giving me that opportunity. Even for Robot I am ready to accept any role however small it is – if Shankar wants me to act. I am waiting for his call.